Jessica reappeared,"nothing i can see is happening with Kofu...it is like something is blocking my view." 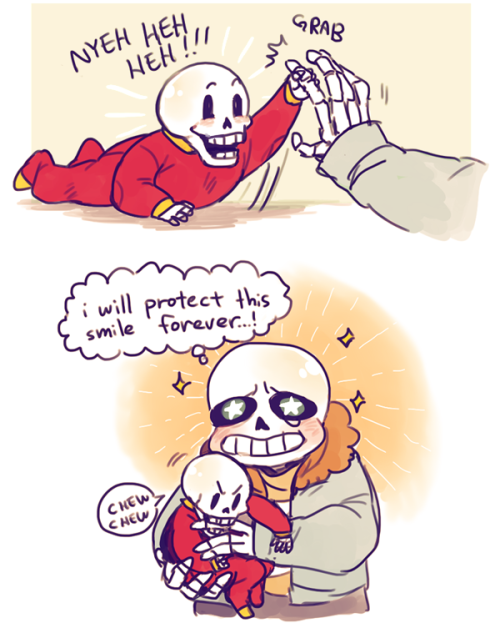 Nausicaa nodded her head,"I can't see anything either..."
People scream Sans is bae, but I think Papyrus is adorable. Nyeh. Diclino went towards Kofu's side, noticing the beads of sweat rolling down from the young werewolf's face. The Ancient Donampyer was obviously concerned for his friend, as he squatted down next to him. He then began checking how high the Jamaican Werewolf's fever was, wincing and shaking his hand from the heat of it. "No wonder you two can't see what's wrong Jessica and Nausicaa. It's a relapse from his Geotherimstigma." he told them, then gazing towards the rest of them. "Lucky, Simba, Jessica, and Nausicaa, you all need to fan out and find me these herbs, stat!" he hissed out in desperation. "This illness he has isn't contagious, nor is it hereditary. And unfortunately there is no cure either." As he told them the details, he dug into his bag, pulling out pictures of four different herbs. One herb was shaped like a serpent that was a type of weed, another looked like a rose with black thorns attached to it's petals with blue stems. The third one looked like a flower shaped like a lions's head, it was even the color of one. While the last herb, it looked was shaped like a star with eight points, with blue petals and white stems. The first two pictures were handed to Lucky and Simba, while the other two were handed to Jessica and Nausicaa. "The two pictures I gave you two, Simba and Lucky, they're called Snake Weed and Blackthorn Rose." he told them, then turning towards Jessica and Nausicaa. "While these two, I give you, Jessica and Nausicaa, these are called, Lion's Briar and Star Haven Roses. We need you all to find them in less than ten minutes, or he'll pass out from the fever and die." After he told them this, he began fixing it to where Kofu would be more comfortable. He now began the struggle to do his best to stabilize the sickly Werewolf. When simba and lucky herd this and reseaved the pictures they both ran and serched for the flowers simba and lucky looked and looked intill simba saw what he need to get then he ruched it to Diclino. Then lucky spotted what he wanted and said "Wow that was easy but getting it may be hard it is behind that rock witch is too big to get around." And at that moment a gard came to lucky and said "What are you doing here Lucky your father has been looking for you everywhere?" so lucky said "What am i doing here well a i fallowed a friend of mine out here and then he got sick so i had to get this plant but i cant reach it and have not really lernt how to dig yet so could you please help me move this rock or something so i can ruch it to my friend?" witch lucky was not lieing one of his friends was in danger so when the gard herd that he said "Oh ok but after you are done helping out your friend you both better get back to the tower there are some reall dangerus creatures out here." and after he said that he dug a hole and got the rock to move that way and then lucky picked the flower and started to leave as he was running he said "thanks gard just please tell my father i am safe and maybe you can allso give him a good book to read to keep his mind off of me." and wisperd to himself " that will allso make him fall asleep then when we free simbas parents we may be abill to get out without a fight or anything." and when lucky got to Diclino he gave him the flower and told simba and Diclino everything how he what he told the gard and his plan too and after he was done he asked simba and Diclino what they thot of the plan so simba said "it sounds like a good plan i guess i hope it works what about you Diclino?" Diclino listened to Lucky's's plan, as he began crushing the herbs into powder and mush. “That is a good plan.” he told the werewolf pup. “Yet there are a few flaws....” The Donampyer then seemed to be deep in thought fow a few moments, almost as if he was thinking of growin a plan as well to go with Lucky's. “Hmmm... Ah! I've an idea! That guard will be tricky to get past.. and there may be more...” he added to the pup. After he told Lucky this, he mixed the herb mush and powder into Kofu's waterskin. The he fed it to the sickly werewolf. Lucky listened to what they said then he said. "Yes that is a good plan i can lead the way." After lucky was done talking Simba said. "Yes i can do that i know i will not be hurt or anything with you around." Jessica nodded and walked with Nausicca motioning her to sit on top of a tree to keep watch just if something went wrong. Jessica then disappeared while Nausicca sat there. Kofu followed Lucky, as they made it to where the young werewolf spoke to the Scout. The Jamaican Werewolf knew that he might attract attention, since he was in his human form. Yet this didn't stop him from remaining in this human state. He paused slightly, then edged Simba over to his side, pretending to move him about as if he were a prisoner. Kofu then looked at Lucky, then asked, "Hey mon, Lucky! Which way now?" Back in the forest, where Kofu left him, the Donampyer was struggling with something inside of him. Black shadows began seeping out of his black scaled arm, as his red eye began glowing brightly. He was breathing heavily, yet couldn't stop it, knowing full well that he would accidentally lure attention to himself and Nausicca. Diclino then realized what was going wrong with him. His hidden monstrousity, the Hyfearian Shadow, was breaking loose. "Ah... Nausicca, you might nead to run!" he exclaimed to Nausicca. "Ngnggh... The Hyfearian Shadow... inside me.. is breaking loose... So you and Jessica, get out of here, before it's too late!" As he spoke, more of the dark shadows began forming outside of his body. These shadows were almost invisible in the darkness of the night, but they exuded such negative energy, they were causing the whole area to become cold as ice. Suddenly, they enveloped their host Donampyer, covering him completely. They then began striking at the nearby trees, slicing through them like a knife cuts through butter, and cutting them all down to size. The Black shadows then began striking at Nausicca, trying to slice her into shreds. Lucky said. "It is this way look there are the gards foot prints." He pointed to the ground and thend lead them in the way they led. And then they got to a big tree lucky hid behind it and said. "Look at that wall it has a hidden door in it that leads to my room i use it to sneek out. Maybe we can use it to get out if anything goes wrong it is a few feet from the front door. So you ready to go in the front door?" "No,i want to help..." Nausicaa, grumbled trying to dodge all of the shadows. Jessica appeared behind Nausicaa,pulling her off of the tree.